Spain international and Chelsea play maker Cesc Fabregas has returned to training after ending his holiday. Chelsea have a huge task ahead this season, especially with the efforts made by their core rivals in strengthening their squads. Fabregas was reported to have gone to Baleric island Formentera, near Ibiza with his woman Daniella Semaan this week, barely a week before their first fixture in the English Premier League. However, the player has now returned to serious training as Chelsea prepare for their first fixture in the new season this weekend. There will be changes as new boss Antonio Conte brought in N’Golo Kante from Leicester City and Micht Batshuayi, after his decent show at the Euro 2016. This means increased competition for first team and regular action in the middle for the former Arsenal and Barcelona player. Conte is known to drop even first team players is they do not show high fitness levels. 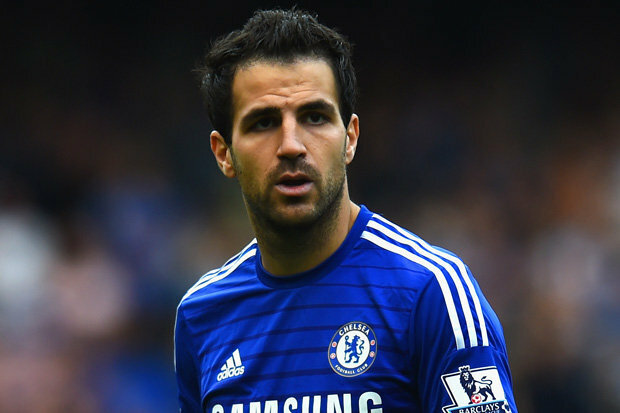 He expects fitness and discipline, so Fabregas had to return to show him he is ready for the new campaign. Fabregas might have the luxury of moving a bit forward, with Kante doing the required as a shield of the defenders. The play is expected to be adapted to 5-3-2 system under the former Italy national team coach. Diego Costa is linked with a possible return to Atletico Madrid this summer but it depends on if the club would get a reasonable replacement in time. The club is still being linked with former player Romelu Lukaku and a few other strikers. Costa was pictured training alone in camp. There is increased competition with the new players in the team, and with the club still interested in landing a few others in various positions in the field especially as Conte is keen on making a name for himself in England.